We are located in the wonderful and exciting city of Miami! But we ship all over the US! We have been in business about a month and a half now but we have been working on this for almost two years! The adorable Kaia! Photo via Pupcake Confections. Our business is all about your pups. I would describe us as a mom and pop type business. Everything we do comes from the heart. We absolutely love every animal and we want that love to show in the work that we do. We sell specialty dog treats. 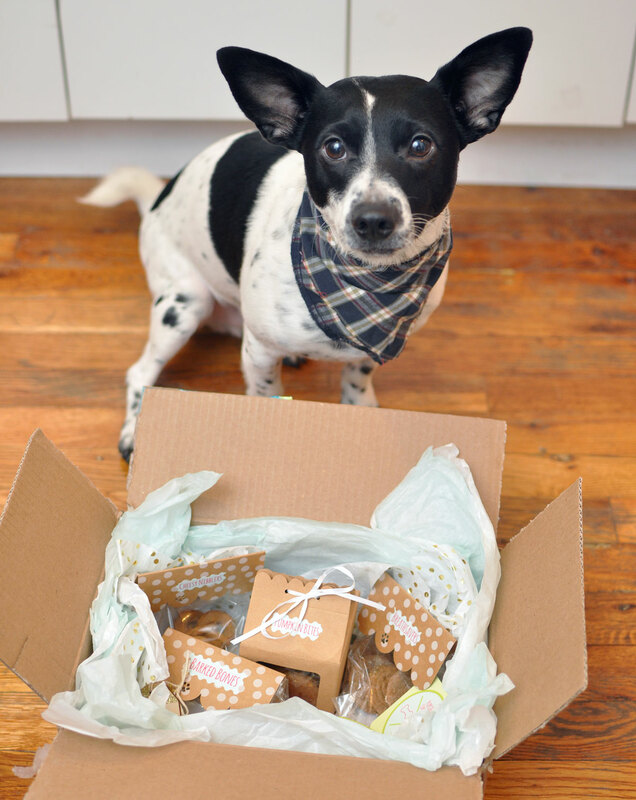 Our treats come in many different flavors ranging from the OG Biscuit to the Elvis Pupsley. 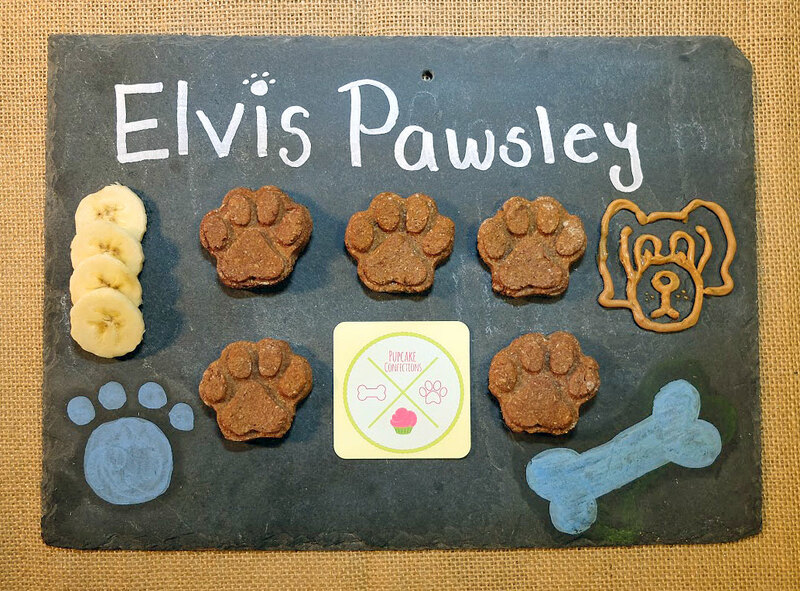 They can be personalized for your pups preferences and needs as well, we make gluten free treats, vegan treats, and can change ingredients if your dog has any allergies. Henry and his yummy goodies! We have a special Sampler box right now! It comes with four treat flavors, twenty treats in total! It is a great way to learn which treats your dog may prefer. We have an amazing pup named Kaia and a wonderful cat, Jazzy! Jazzy was our one and only for almost four years. She is your typical “I don’t care about you cat” but we know that she loves us a lot! Ha! Kaia and Jazzy are slowly becoming best friends but after being an only child so long it has taken her time to adjust. We adopted Kaia from a rescue shelter not too long ago. 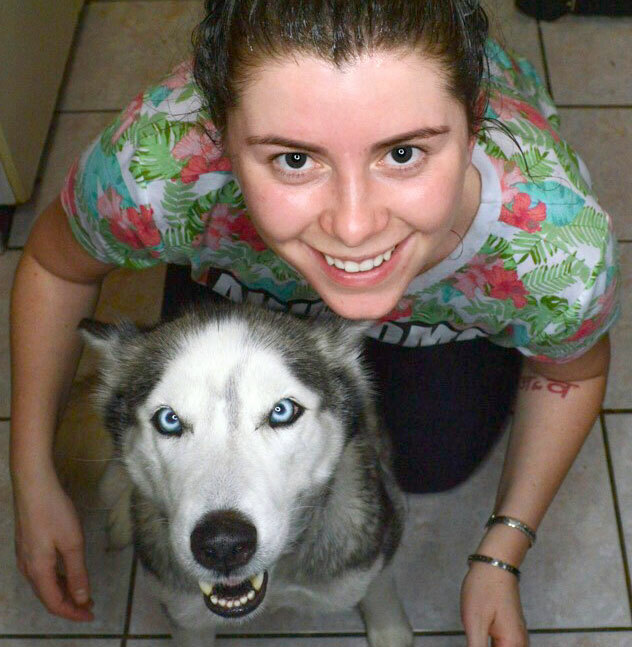 She was diagnosed with cancer and nobody was willing to take home a terminally ill pup. But here we are with the most beautiful and sweetest dog you can imagine and we wouldn’t change her for the world! She, of course, is the most important part of this business, our taste tester. Victoria and Kaia! Photo via Pupcake Confections. My name is Victoria, I am a pastry chef in Miami. I specialized in gluten free and vegan desserts for humans before I started working on Pupcake Confections. My passion for animals and baking go hand in hand. I don’t think that either one surpasses the other so after two years I have finally begun my journey into the dog treat world! I can’t take all the credit though, the other human behind Pupcake Confections is my boyfriend, Juan. He does a little of everything, he photographs our amazing pup and the treats, bakes when I need an extra hand, packages boxes and so much more! Shortly after we adopted Kaia we realized that she was an extremely picky eater with a sensitive tummy, so I began making all her food and her dog treats with the recipes I had been working on. Once we saw what a difference it made for her and how much she enjoyed all the treats I knew that I wanted to spread the same happiness to all pups! 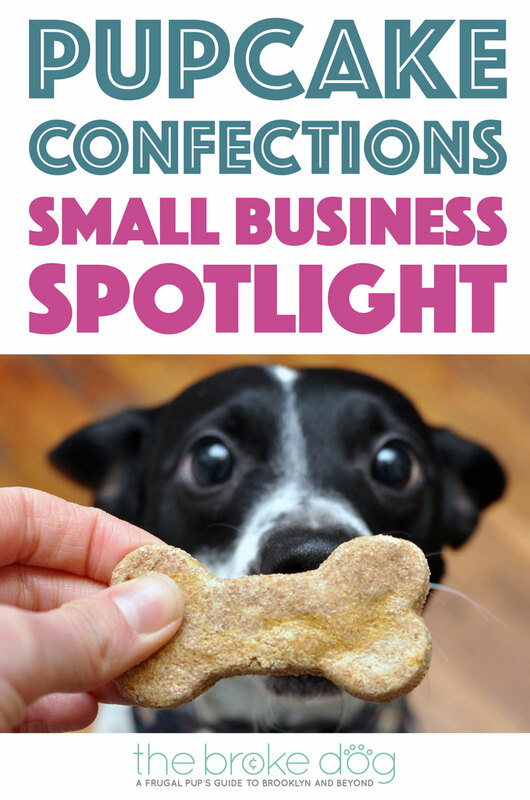 We stand behind the quality of out treats 100%, if for some reason your pup is not happy with a treat please let us know and we will work with you to create your pups favorite treat! Also as these treats are made to order with fresh ingredients it is best to keep them in an air tight container in the fridge and if you want to keep them for longer you can freeze them and then thaw them in the fridge! We send out storage instructions with every order. First of all I would tell them to use our code and save 10% off their next order at pupcakeconfections.com with code: “brokedog10”, haha, but what we do to stay in our budget and spoil our pup, is to make her food at home. As she is a picky eater we realized it was cheaper to buy her food and cook at home for her. Most of the time she eats better than us! We also love to google! You come across so many good blogs, such as The Broke Dog that give wonderful tips and suggestions on how to make your pup happy on a budget. I loved learning more about Victoria and Kaia, especially because Henry is such a big fan of their products. He gobbled every treat up with gusto and begged for more. He’s a fan! Check out Pupcake Confections at their website and on Instagram and don’t forget to use BROKEDOG10 for a 10% discount!